Here it is, Part II of our Future Music Festival Asia 2013 / ASOT 600 KL Report. We've come to the end of another great festival! Full of really useful tidbits like unicorn masks, Twitter gossip, cab troubles and harmless drinking, we hope to make this trip to KL an annual thing. Six hundred episodes. That’s a number six with two zeros at the back. I don’t even think we’ve even counted six hundred sheep to sleep on a sleepless night. Trance DJs have short shelve lives and to have stayed relevant for a good decade and a half; his DJ achievements (including that Royal Dutch distinction) are warranted. You have seen him live, Zouk and on the dirty sandpits of Siloso Beach and you know he’s no overrated artist on the bill. His combination of fitting overbalanced tracks together is strangely hypnotic, Bundles of eight-minute songs and a sudden fade. A man with a unicorn mask for a head rises onto the crowd and shifts to the side with the ebb and flow of the sea of hands. Five minutes later he’s skulking back to the front. And that’s what being at an AVB set feels like; you just keep coming back. Festivals are always renowned for their Porta Loos and you would only know why if you were one of the desperate ones to have used it. After a nasty Mexican lunch and a handful of cigarettes, I pride myself in being adventurous enough to emptying my stomach out in a Porta Loo. Hand me my Medal of Honor. Q – Calm the Querulous! Of the 43.3333% that make up the foreign attendees at FMFA, most would be in arms about They Will Kill Us All’s set placed at 2310, right smack in-between Fun. and Bloc Party. On paper, they are a band from Kuala Lumpur but in +60, they are adored by the droves of locals. Songs like 'Under the Red Sky' is a highlight with a real potential of driving the crowd and yet being able to stay mellow with its meek and unconcealed lyrics. The bulk of those staying were all in their well geographically picked spot for Bloc Party. But with each post rock song TWKUA takes up, the crowd laps it up slowly and by the time 'Man of 1000 Faces' comes in, the crowd seems to adopt a personality. A personality of acceptance and submissiveness. You know the Singapore pledge by heart from your uniformed days, but the Malaysian Government takes it one step further. Prayer Breaks! Yeap, you know that ten minutes break between Ben Gold and Super 8 & Tab. That was no conveniently allocated time for your beer runs. 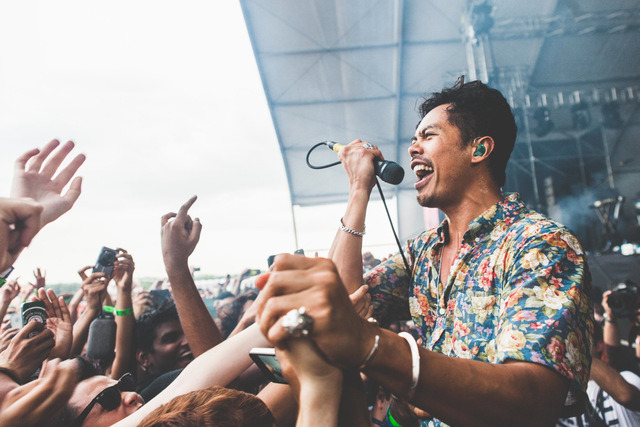 Temper Trap’s set left us teary eyed the last time they played in the Rainway of 2011; it served as a terribly high benchmark for their next few shows and it remains unsurmountable here. Dougy still on the pure amazement of playing such a big crowd in Kuala Lumpur had little words to speak in-between songs. The music did most of the talking as he sang with held back emotions as if to an old lover, in ‘Love Lost’ “When you’re ready, I am here to take you every time” he probably sings it the truest. On the back of TT’s latest self-titled, they kept faith in their old radio friendlier stuff with only ‘Miracle’, Rabbit Hole’ and ‘Trembling Hands’ surviving the cut. The end to the nine-song set is justifiably taken in place by ‘Sweet Disposition’, but Dougy’s voice had been burnt out. Like a marathon runner running his final lap, he pushed and pressed and passed around the microphone till it was a good time to lay off his thank you speech. But on the back of playing multiple shows, who could blame a softie like him? T – Take Me to the Hospital! As the night fell and the partying was in full swing, the paramedics on standby had a hell of a job tending the injured and making sure everyone was strong enough to stand before they left them to fend for themselves on the dance floor. Correct me if I’m wrong but off Twitter we heard 17 attendees didn’t make it through the night from… (You guessed it) drug overdose. Kids, when all else fails, follow the golden rule of ‘no pills, no powder’. The taxi monger service was a nice addition, we gave FMFA two thumbs up and a huge pat on the back for implementing it. 60RM for a ride back to KL Sentral? Take my money Mr. Taxi Driver. But no two things in the world are perfect and you could either have the choice of a) getting picked up 2 hours later than scheduled or b) loosing your booking entirely and having to hitch hike your way to FMFA. Although choice (b) sounds like a stellar way to travel, try hitch hiking your way back with that jam on the highway, punk. Pioneers of the big beat genre and huge fans of the FMF movement (they DJ-ed at last year’s FMFA), the old timers of Liam Howlett, Keith Flint and Maxim took the stage in true warrior style. The opening beat of ‘Breathe’ was a moment to treasure, with Liam hitting the buttons from behind his machineries, the crowd got into an indestructible rally, punching and rioting in the crowd. 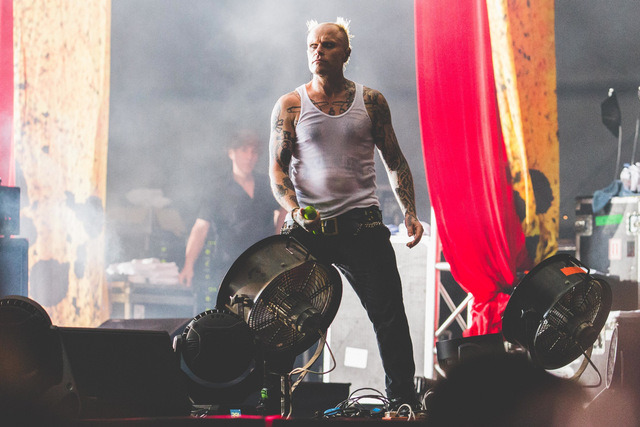 Maxim, even though looking like a crow, was a favorite with the crowd ”All my warriors down below get rowdy”, The strobe lights and fumes only added to the whole mystery element of Prodigy and in army terms it was all “visibility zero” for the first few songs till ‘Run With The Wolves’. Sorry for the incomplete review warriors, Bloc Party was playing at the exact same time. 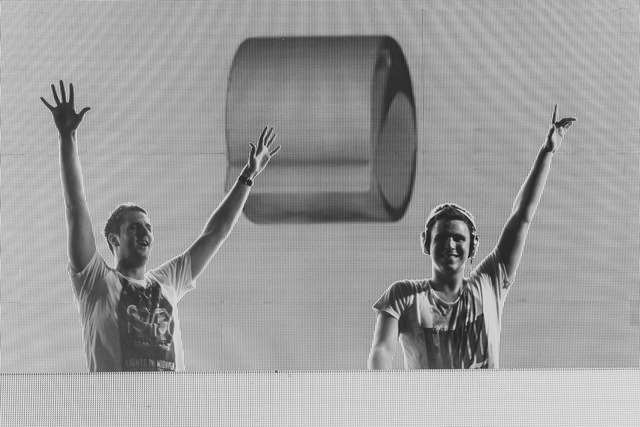 Personally one of my favorites at ASOT, (I had to re-watch their 1 hour and eight minute set on YouTube just to write a perfect piece on them) If trance is a form of expression, then W&W are the Michelangelo of Trance, between them lies the connection between man and God. It is arousing how they manage to incorporate so many expeditious themes of music within their set, their remix of 'Waiting' by Dash Berlin with Emma Hewitt’s haunting ethereal voice stands as the focal point of their 68-minute performance. And if you look at them as a whole, you’ll start to question their short set. True Fact: Most ravers at ASOT tend to associate guys with media lanyards with drug dealers. I’ve been questioned over my ability to score some MDMA or pills backstage and I gave them the same resounding no before I ratted them out to the popo. Trust me I wasn’t on any, my colleagues can all testify. You weren’t alone when you thought the worst was over after the festival came to a finish. The two hours hold up along the highway after a car accident only made us miss home more. 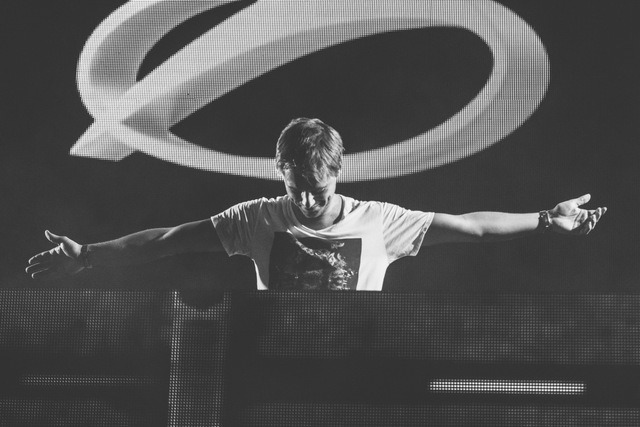 Check out our Day 1 and Day 2 photos from FMFA 2013/ASOT 600 KL!